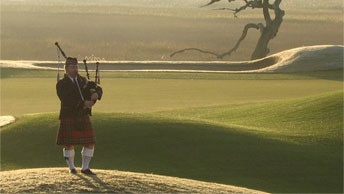 is a private club that is committed to providing members and their guests with an extraordinary golf experience. Secession is an equal opportunity employer that accepts applications from interested, qualified, motivated and team-oriented prospective employees. At various times during the year, Secession has seasonal, year-round, part-time and full-time positions in Food and Beverage, Golf Operations, Maintenance and Housekeeping. Please review our Current Opportunities below. All prospective employees need to complete an employment application and provide verifiable references. Please click below to obtain an application or visit the Club's Administration Office where blank application forms are available and where completed applications can be delivered. We offer competitive wages, excellent working conditions and a comprehensive benefit package. Assists in the pre-preparation of food products used for member dining, banquet functions, and other outlets. Assists with food production tasks as needed and assures that quality and cost standards are consistently attained. Assists the Assistant Food and Beverage Coordinator in tasks, such as placing orders for food products, kitchen equipment, putting food away and rotating stock as needed. Prepares the daily preparation of soups, sauces and “specials.” Assists line cooks in their tasks. Obtains necessary products and small equipment items required for food preparation. Assists the Chef and Food &Beverage Coordinator with monthly inventories, pricing cost controls, requisitioning and issuing for food production. Carefully follows standard recipes while preparing all assigned items. Consistently maintains standards of quality, cost, eye appeal, and flavor of foods. Follows manufacturers’ instructions when operating food production and serving equipment. Consistently uses safe and sanitary food handling practices that coincides with Department of Health and Environment Control (DHEC), to include keeping the kitchen clean daily and sanitary per DHEC regulations. Ensures maximum productivity and high standards of quality; controls food to achieve maximum profitability. Makes recommendations for maintenance, repair, and upkeep of the kitchen, its equipment, and other areas of the club. Advises Manager on duty of any complaints as soon as they occur. Assist in the set up and break down for tournaments. Lift up to 50 lbs. Performs administrative duties as assigned by the Food and Beverage Coordinator. Personally works in any station or other duties as assigned by the Food and Beverage Coordinator. Performs a wide range of duties involved with serving food and beverages to members and or guests. Must maintain a professional, yet friendly demeanor at all times. Ensure uniform and personal appearances are clean and professional, maintain confidentiality of proprietary information, and protect company assets. Remove soiled wares from bar top and tables and place in designated area. Anticipate and communicate replenishment needs. Process all payment methods. Complete closing duties. Follow all company and safety and security policies and procedures; report accidents, injuries, and unsafe work conditions to manager; and complete safety training and certifications. Welcome and acknowledge all guests according to company standards, anticipate and address guests` service needs, and thank guests with genuine appreciation. Speak with others using clear and professional language. Develop and maintain positive working relationships with others, support team to reach common goals, and listen and respond appropriately to the concerns of other employees. Ensure adherence to quality expectations and standards. Move, lift, carry, push, pull, and place objects weighing less than or equal to 25 pounds without assistance. Reach overhead and below the knees, including bending, twisting, pulling, and stooping. Stand, sit, or walk for an extended period of time. Perform other reasonable job duties as requested by Supervisors. Maintains traffic control for the club facilities and property to ensure safety for members, guests, and employees. Must possess a high degree of integrity and trust along with the ability to work independently. • Assists in the recommendation, development and implementation and enforcement of improvements to systems and procedures in the department. Enforces all rules and regulations of club which govern employees. Responds to emergency and fire alarms. Administers first aid if necessary. Patrols parking lots; prevents unauthorized vehicles and people from using parking lots. Patrols cottages and clubhouse, ensures that doors are locked on the premises and prevents unauthorized people from being in the cottages. Notes any deficiencies in club’s security measures. Maintains accurate log of all activities and incidents occurring during the shift. Performs clerical functions incidental to security activities. Ensures that physical protection responsibilities are in place to include but is not limited to protect all of the club’s assets, workplace violence prevention, access control systems, video surveillance, and more. Maintain relationships with local, state and federal law enforcement and other related government agencies. Responsible for driving members/guests within a 10 mile radius of the club. Reports all violations on the premises to the General Manager. Fills out incident reports for all incidences that occur. Able to lift up to 60 pounds. Additional duties as assigned. Cleans all club facilities, including all areas of the Clubhouse (inside and outside), Caddie Shack, Administrative Office and the Blue Gray Estates Cottages. Dusts rooms furniture, baseboards, pictures, blinds, all visible areas. Cleans all designated bathrooms in clubhouse and offices. Vacuums carpets and mops floors. Empties all waste baskets and ashtrays. Disinfects telephones. Cleans and polishes brass. Washes inside and outside of windows and doors daily. Reports any damage, burned out light bulbs and plumbing problems to the Housekeeping Supervisor. Cleans guest rooms as trained (make beds, dust base boards, dust fans, clean robes, report missing robes to the Housekeeping Supervisor, dust all furniture, wash dishes etc.). Assures quality cleaning of all linens of guest areas. Reports any necessary supply and equipment needs to the Housekeeping Supervisor. Maintain outside furniture at the clubhouse, office and cottages. This position requires that you walk up and downstairs regularly. Lift up to 50 lbs. Other duties as assigned. Has a basic understanding of the golf course and its equipment. Operates and cares for golf course maintenance equipment; cares for all grounds and improvements needed to better the condition of the golf course. Safely operates equipment and other machinery related to golf course maintenance. Cleans machinery after each use and store properly. Ensures to check all fluid levels and clean all filters. Reports all machinery problems to mechanic and/ or supervisor. Loads and unloads material and equipment safely. Collects trash on property and empty litter cans. Edge irrigation heads, boxes, and drainage. Maintain golf course sand bunkers. Must wear all specified protection gear. Will cause the least amount of inconvenience to the golfers as possible. Must work overtime and weekends as necessary. Other duties as assigned.